In a series of curious and unexpected events, I found myself gushing over the new “Justice League” film. I’m not super keen on DC Comics (as cliché as it sounds, I’m more of a Marvel gal). But, somehow, I got caught up in the romance of London’s Justice League Experience. True to my word, Genna and I went to see “Justice League” this evening. And while its meditations on grief and life in the post-modern age were thoughtful, the execution was mostly exhibition. At best, “Justice League” is a delightful visual spectacle. 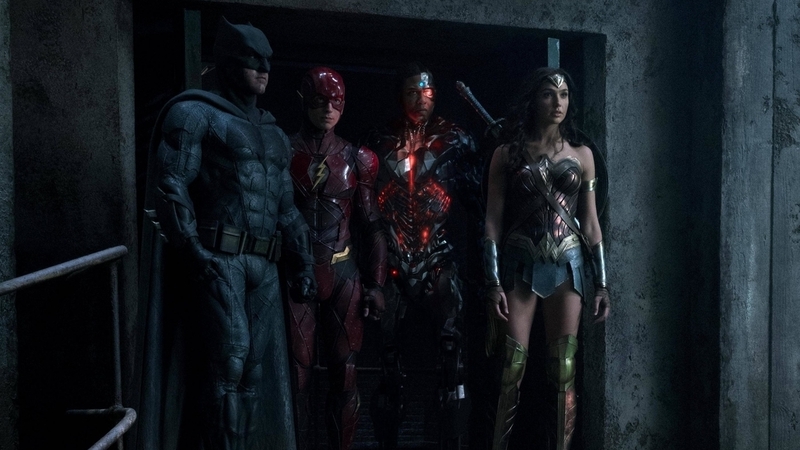 Given its cast of Ray Fisher, Jason Momoa (yes, I am aware that he’s cancelled), Ezra Miller (an angel), Gal Gadot and Ben Affleck (also, cancelled), I mean “delightful” in every sense of the word. Of course, I knew what to expect when I realized “Justice League” was directed by Zack Snyder: hyper-choreographed fight scenes and textbook objectification. Snyder did bring it with the battles and the sexualization of women. And that’s about the only thing “Justice League” followed through on. The film attempted to juggle numerous storylines with minimal exposition. Unless you’re the type to have your nose stuck in a comic book, you watch “Justice League” with only a vague sense of who Barry Allen, Arthur Curry, Victor Stone and the gang are as individuals. We need heroes. And they need each other. #JusticeLeague in theaters TOMORROW. Get tickets now, link in bio. You get personality with a dash of back story, but there’s no depth. We follow the rise and fall of opinions and emotions and stances. And despite the promise of its trailers, there’s no real development. I’ll keep it spoiler-free, but I can whisper that the film completes itself in a way that is too neat. I won’t bring up that other superhero team, but at least its films tickle your brain and leave you curious about what fate holds. So many problems are resolved with such little resistance. There is hardly a struggle (save a little misguided tiff in which the Justice League fights itself). In the end, the viewer gets no real satisfaction from the resolution. As giddy as I was with the shiny, new quality of it, I can’t say I was completely and utterly disappointed by “Justice League.” I’m a Marvel stan, through and through, and I acknowledge my bias. That is to say, having sat through the emo-flavoured mess that was “Suicide Squad,” I didn’t have super high expectations to begin with.